iGoogle will be the next service of Google that will be retired soon. It was started off in 2005 and it’s going to end on November 1, 2013. Google has already closed its Google reader which was the most popular RSS reader. Now since iGoogle is also going to retire in few months so you should take on to some alternatives available to that. 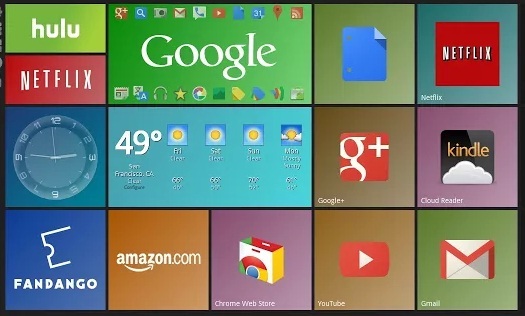 Here I’m with the best iGoogle alternatives list for you. You can choose any of them as your iGoogle alternative to design the home page/start page in your browser in your way. So here I start with the iGoogle alternatives which will let you personalize your start page. It’s the best alternative I found on the web which provides almost all the features which were there in the iGoogle. You just need to create a free account and then it will allow you to add widgets to your customized start page. The list of widgets supported is very long which shows the popularity of this tool. This is another tool which will allow you to keep your start page customized by using any number of widgets. The number of supported widgets available is huge and fortunately you don’t need to sign up for any account to use it. If we ignore the UI of this tool and just talk about the features then this tool is the best one. As already stated that the tool isn’t good at UI but the features offering by it are really good. The number of widgets options available is also lesser than above two tools. If you got Yahoo ID then you must have seen My Yahoo earlier. It’s like iGoogle and it provides lots of features which are required to be there in a tool similar to iGoogle. The number of widgets available is again less in compared to first two alternatives discussed above but as its from Yahoo so a brand value is there attached to that. This tool will work only on Google Chrome. You can get it from the Chrome store. The tool offers very impressive design and lots of widgets to use with. The UI of the tool is also great and you must use this tool at least for once. This tool took me at its UI but the available numbers of widget are very less. You’ve to create an account with them in order to start creating your bookmarks to the front page. The best thing about this tool is that it is available on the Chrome store that means, Chrome users can directly add it to their browser. 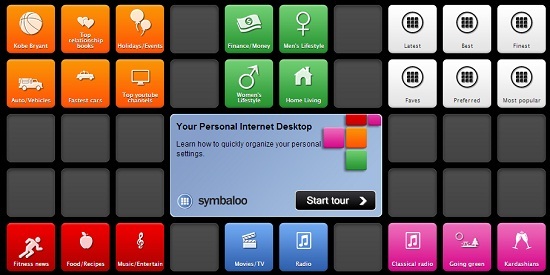 Symbaloo itself says that it’s an alternative to iGoogle and found it like that only. It needs to have an account first and once you login there then all your bookmarks will be sync to your account. The UI is good and using it is also simple. Good numbers of widget are available. This one is the last recommended iGoogle alternative from my side. It got features which should be there in such tool and it also got cloud storage integration which is an additional feature. Now do let me know that which iGoogle alternative you’re trying out finally. iGoogle is no doubt the best but the competitors are well and good to give Google pesonlized page a tough competition. Thanks for sharing the alternatives. I think yourls is the best alternative. It’s fast, easy, secure and completely (ad) free. For me, the best iGoogle replacement is Hinto.co and I start every day checking my favorite sites on it.